Grow So Easy – Planting Lettuce In the Dead Of Winter! This winter, according to Accuweather, my Mid-Atlantic zone is running about 10 degrees colder than normal. I would say so! With wind chills, we have hit negative numbers like -17 and -24 degrees. For a gardener, sitting inside, listening to the wind howl and watching the earth be scoured by shards of bright, shiny snow could be depressing. But this week, I decided to head for the basement and start some seeds. What could I possibly have in mind considering the arctic conditions outdoors? Just one crop…lettuce. I started raising lettuce when the price for 12 ounces of the organic stuff hit $5.98 a bag. For me, that’s $18 a week for just a bit over a pound of green leafy lettuce. Do the math. I was spending almost $1000 a year on lettuce! Try doing that on a fixed income. I hated paying the price so I stared planting and growing my own. And guess what? 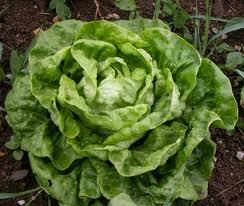 Lettuce is one of the easiest crops I have ever raised. And, it’s a two-fer! Save your seeds and pay no more (well maybe you’ll have to buy every 3 or 4 years). Just keep planting and harvesting. So, let’s start with seeds. I am pretty particular about whose seed I buy. I want organic seed, especially if I plan on saving and sowing. And I want flavorful leaf lettuce — not head lettuce you have to chop with a cleaver. And I definitely do not want Genetically Modified (GMO) seed. I tend to sow the seeds right in the garden bed. One problem planting lettuce is that the seeds are small and lightweight and they tend to drop into the dirt in clumps or blow off my hand. I used to have a hard time getting them to spread out on the soil but here’s a trick my sister taught me. Used to be seed catalogs were one of the first signs of spring for me. 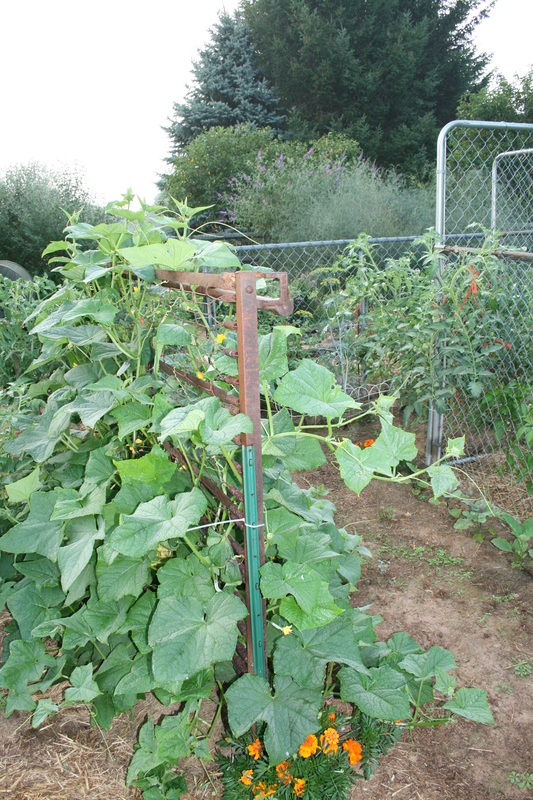 Now, it’s posts by some of my favorite organic gardeners like this one! This is from High Mowing organic seeds, one of my favorite East coast operations. It’s a complete guide to seed starting. And, as a bonus, it includes a link to Margaret Roach’s garden planting calculator! High Mowing shares information freely and sells some of the best organic, heirloom seeds and what they call “future heirlooms” like their latest – Abundant Bloomsdale spinach. Enjoy their wonderful tips and tools, buy their seeds knowing you are getting organic seed free of GMOs and get excited! Gardening season is here! Gardening can mean the difference between eating, at all or eating well. Cukes growing up an old inner spring I found. probably own most of the tools you might need and you can get the rest on Craigslist — cheap! Gardening lets you choose what you grow and harvest instead of relying on what large-scale growers can grow quickly and cheaply so, heirlooms are always on the list at my house and so are some weird, wonderful and different veggies. Gardening can mean eating healthy fruits and vegetables that are NOT loaded with pesticides and fungicides and overtly and covertly changing your body’s ability to fight off chronic illnesses like diabetes, kidney and liver disease and even dental caries. Visiting the garden early in the morning to pull weeds or maybe plant some more seeds, listening to birds waking up and calling to each other, watching mist swirl away — clouds returning to heaven — puts you a little closer to the center of the Universe than anything else can. Watching seeds sprout and plants grow, seeing the first fruit set and harvesting leaves of fresh kale or spinach or baby lettuce are all tender moments which every gardener savours, every time these moments occur. Sitting at your desk, closing your eyes, seeing your garden and feeling the peace you find there helps to let go of all the anger and sorrow that our long, stressful, work days can sometimes bring. Running home, ripping off your shoes and socks and standing, barefoot, in soil warmed by the sun literally grounds you. Celebrating life — gardening is a celebration of life — all kinds, all shapes, all sizes and all colors brings such deep joy. Gardening is also a small but significant step on the road to saving ourselves and our planet. If everyone in every community joined in – grew their own, shopped local, thought about the environment EVERY time they bought, used or tossed out, we could work together to help save this planet, our home which we sail through space on.